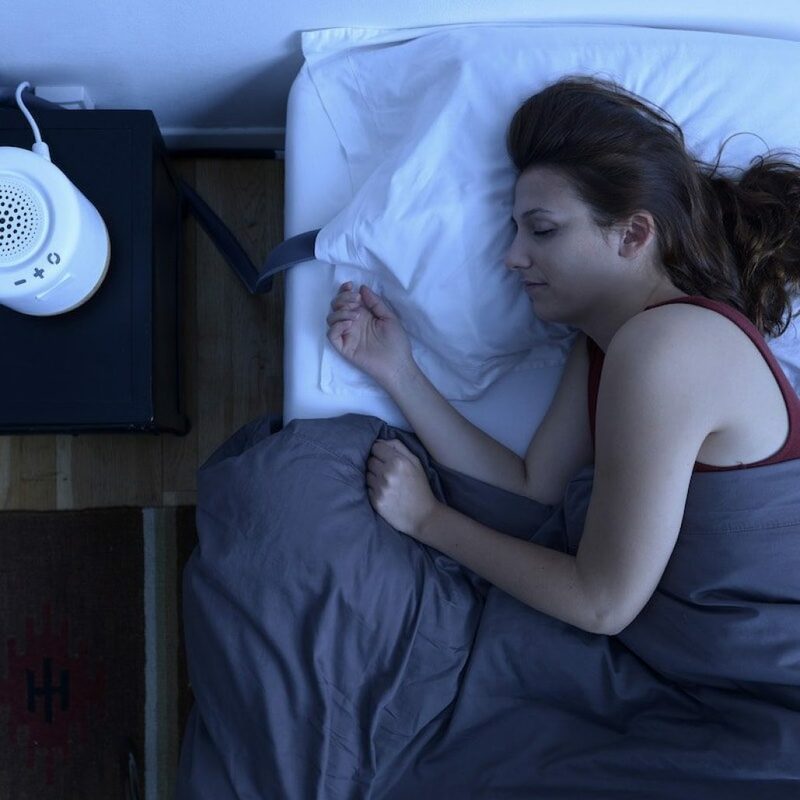 Temperature is one of the main factors responsible for regulating our circadian rhythms and to get a good night’s sleep, your body temperature needs to drop at night. 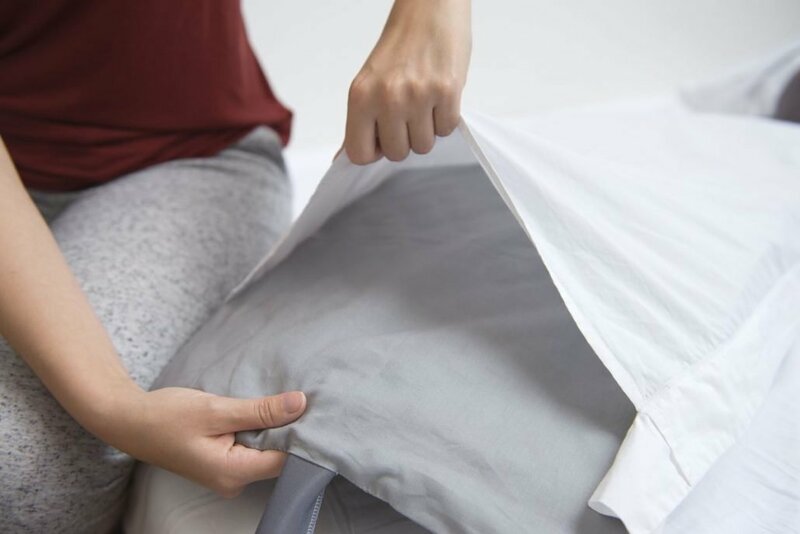 Debuting on KickStarter in 2017, Moona is a French e-health startup that has developed a patent-pending sleep system that uses smart technology to help regulate your body temperature all through the night. Whilst other devices have used a mattress topper to regulated your bed temperature, Moona focusses only on the temperature of your head and neck with a removable pad which you can insert into any pillow. Because the head and shoulders area is a major heat exchanger, by focusing on that part of the body, Moona can effectively regulate your core body temperature. 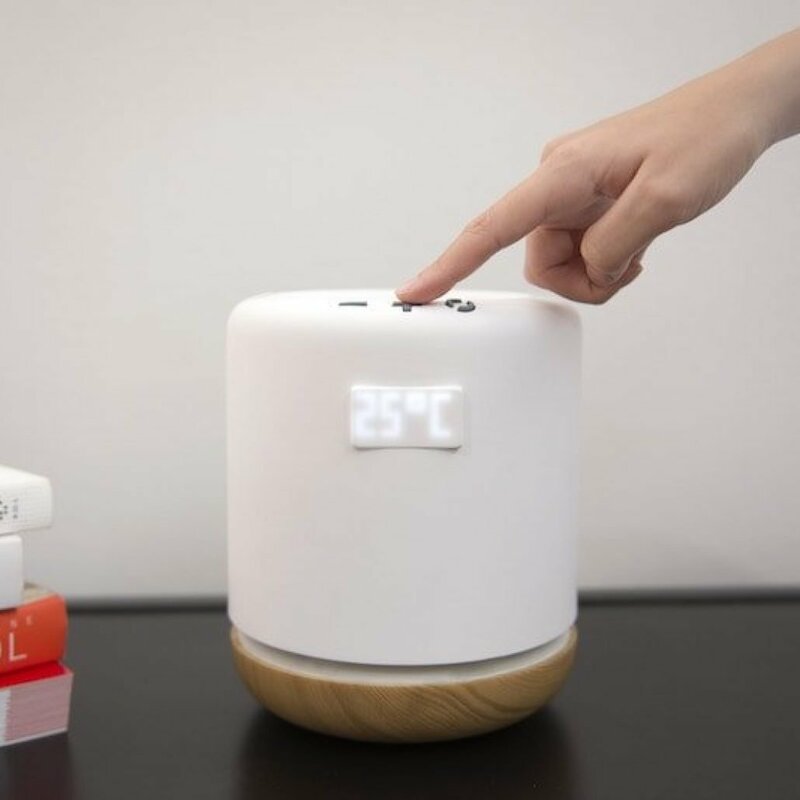 The main component of Moona is the smart bedside temperature regulating device. 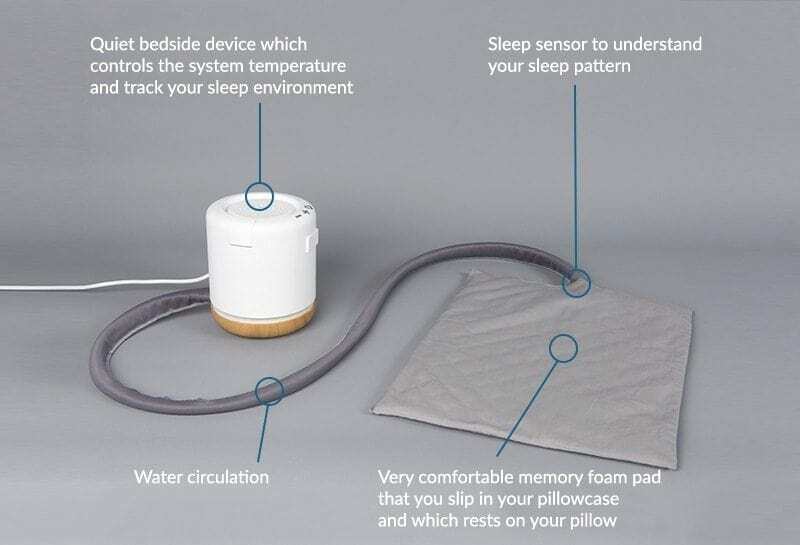 It’s placed on your bedside table, and is filled with water which is connected via a circulation tube to the Moona pillow pad. The bedside device also tracks light level, humidity and room temperature. 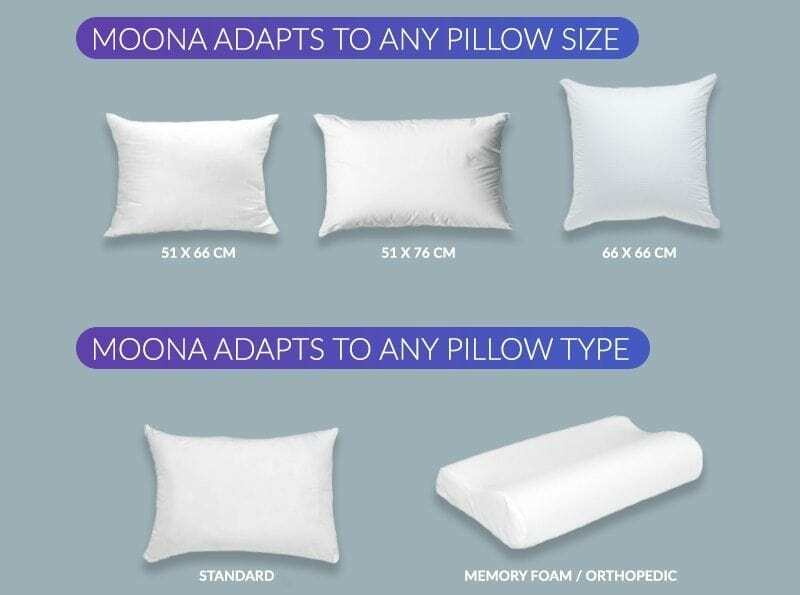 The Moona pillow pad, made of memory foam, includes a thin layer that allows for water circulation. The bedside device cools the water, which is pumped through the pad, cooling it and its user. The device also is able to send warm water through the pad in the morning to gentle wake you. Moona’s smartphone app uses the pillow pad’s built in sleep sensor – a tiny accelerometer – to monitor your movement and detect your sleep patterns through the night. 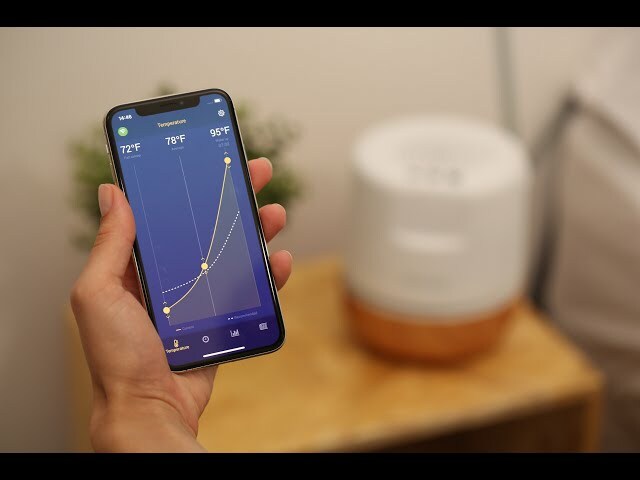 With this data, Moona is able to understand what temperature works best for you and how to improve the efficiency of your sleep. The algorithm of the machine and signal processing will also detect your wake and sleep pattern and will determine your sleep quality. The pad is nineteen inches wide and around thirteen inches high, designed so it will fit all kinds of pillows.